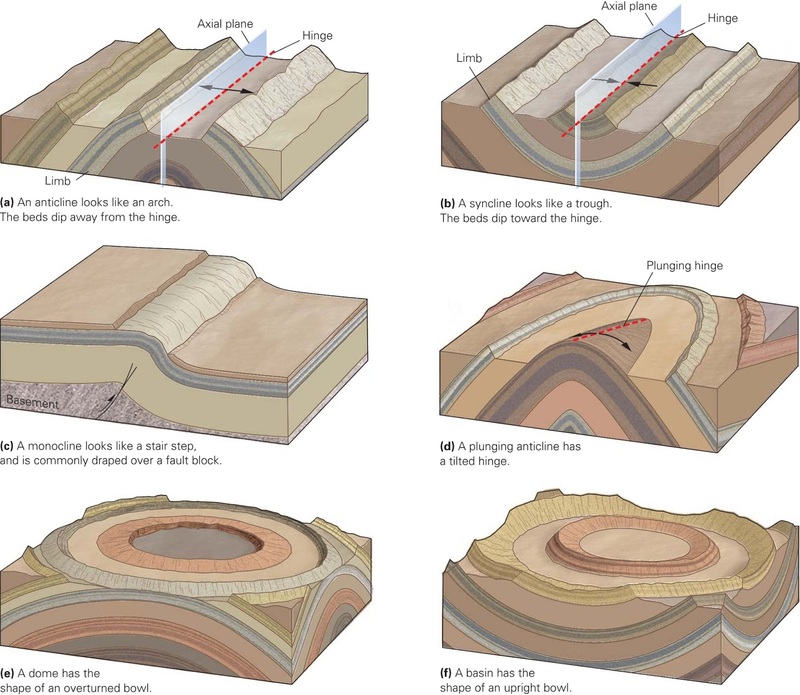 It is probably going to be boring what you are going to read, but if you are a geologist, please continue reading. 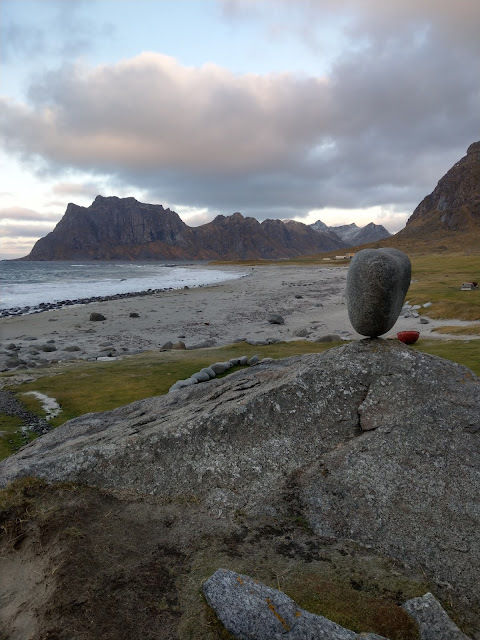 What started as a simple fun trip with some friends to Lofoten Islands in northern Norway, just became a unique geological experience. This, because I think that, as a geologist, it is completely impossible to separate fun from my profession while traveling. It's just amazing to mix your profession with your favorite hobby. Trying to understand the rocks, the configuration of the landscapes and their phenomena, is simply priceless. 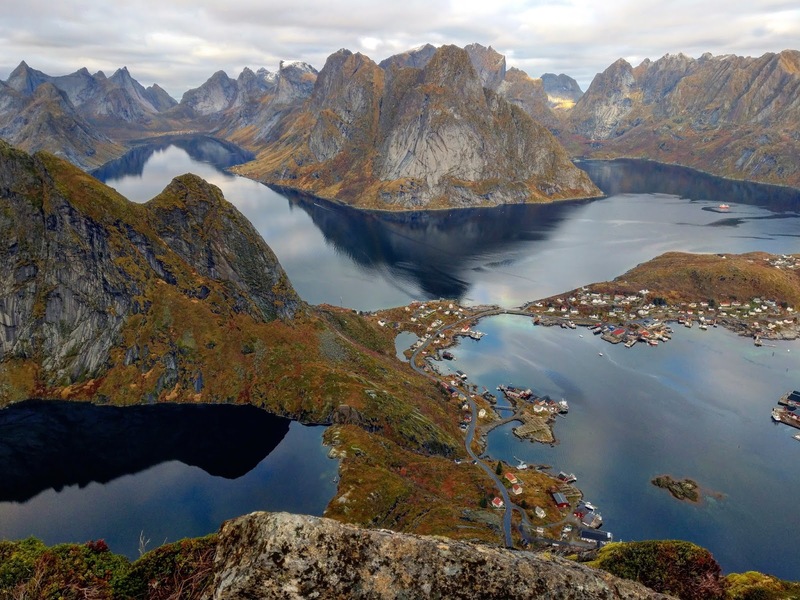 View to the town of Reine and Fjords. 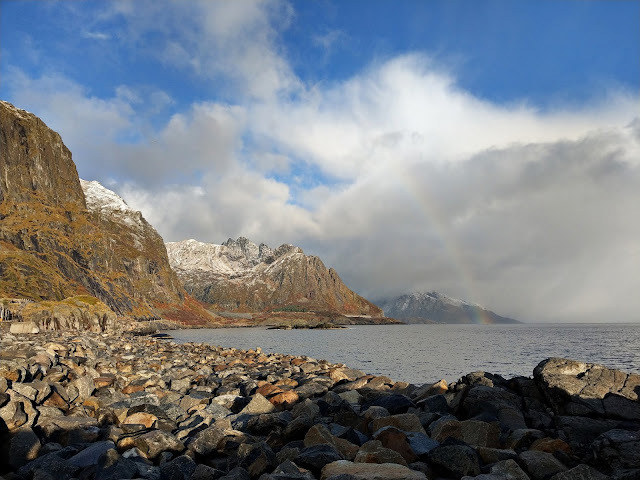 This time I got completely impressed with the beauty of the Fjords in Lofoten (help: what is a fjord? 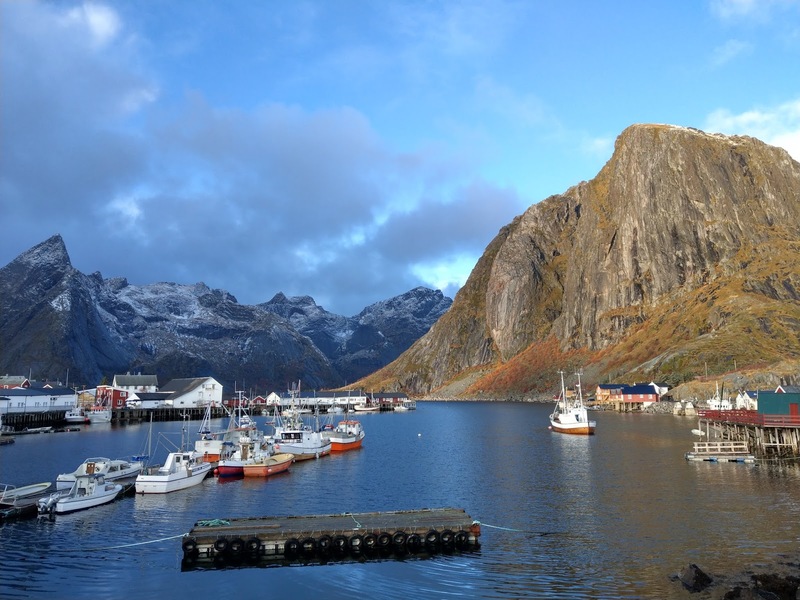 well basically, a fjord is a narrow and deep channel that allows the sea to enter to the land. They can be several kilometers long, so they are often confused with rivers or lakes, and can reach great depths, exceeding 1000 m. These geomorphological units are the product of sea flooding of valleys created by glacial activity). Hiking through the perfectly carved U-shaped valleys left me speechless (above mentioned glacial valleys). In each valley, it was possible to appreciate the sediments associated with the activity of the glacier, that is, the Moraines (frontal and lateral), till and reworked proglacial sediments. 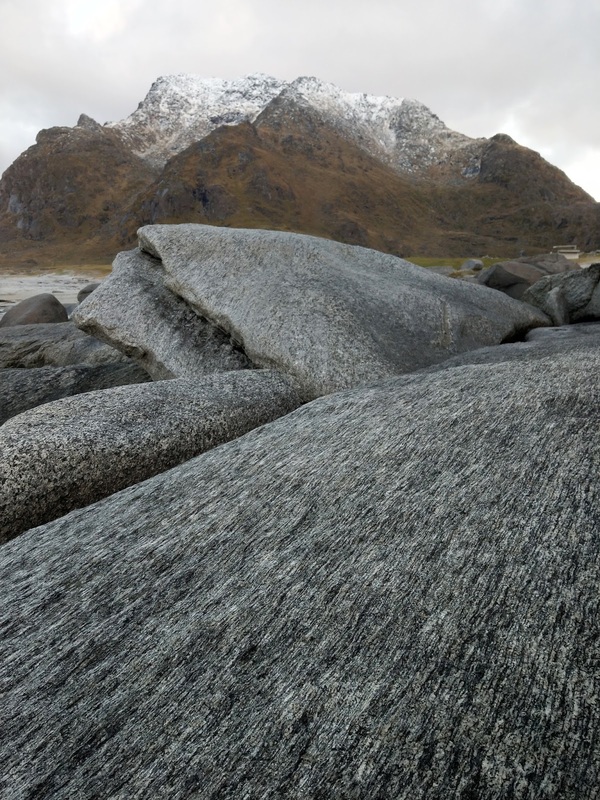 In addition, the typical vegetation of Tundra is impressive (help: what is Tundra? 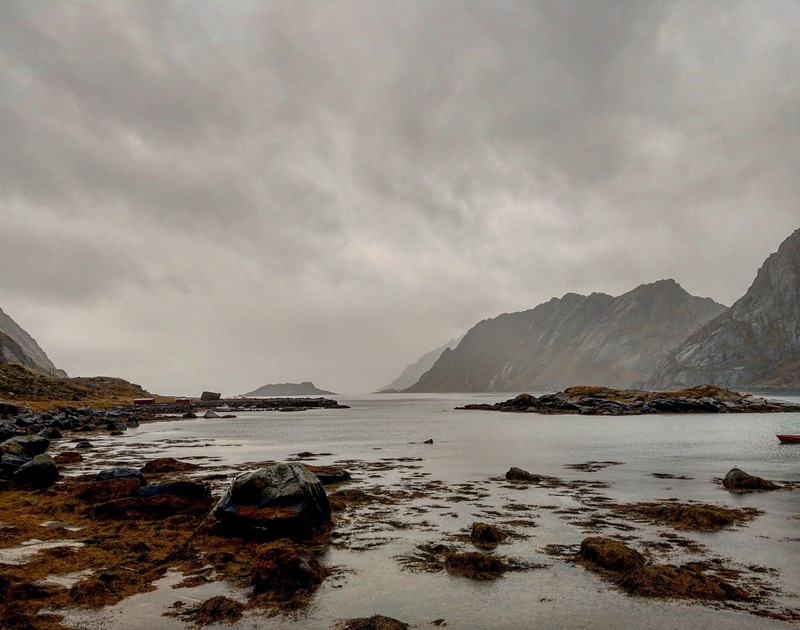 In simple words, it is a biome characterized by the lack of trees, the soils are mainly covered with mosses and lichens, characteristic of circumpolar latitudes. The subsoil is almost permanently frozen). 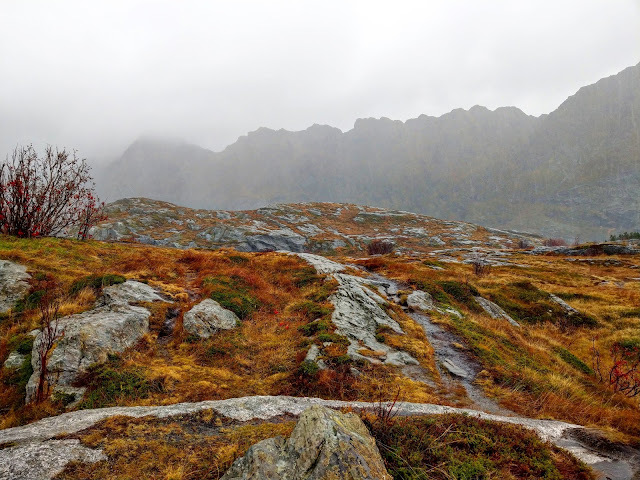 This vegetation covered the base of the mountain chains and snowy hills, contrasting in a perfectly artistic way and offering a breathtaking view. Mosses on Precambrian gneisses and migmatites. 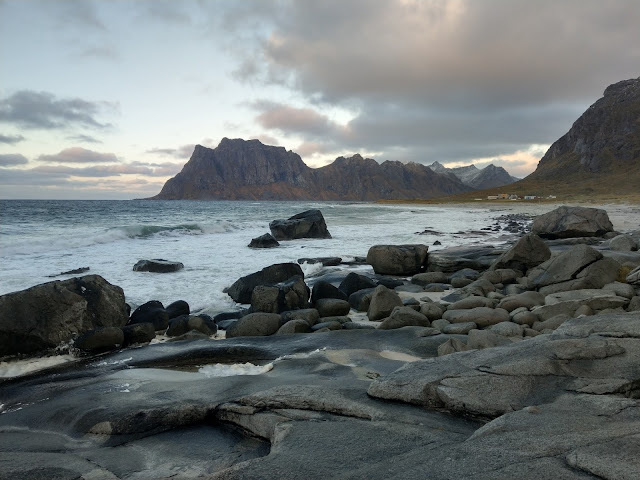 Hamnøy, Lofoten Norway. 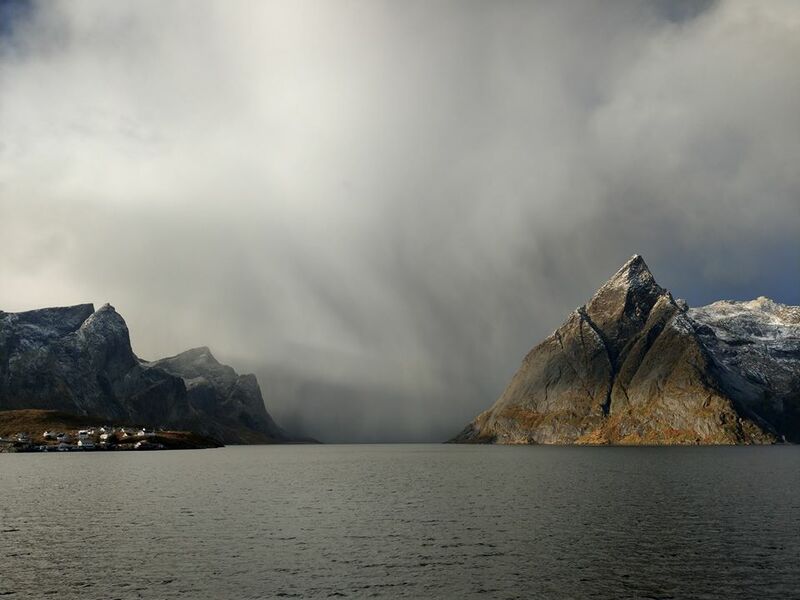 Snowy Peaks. 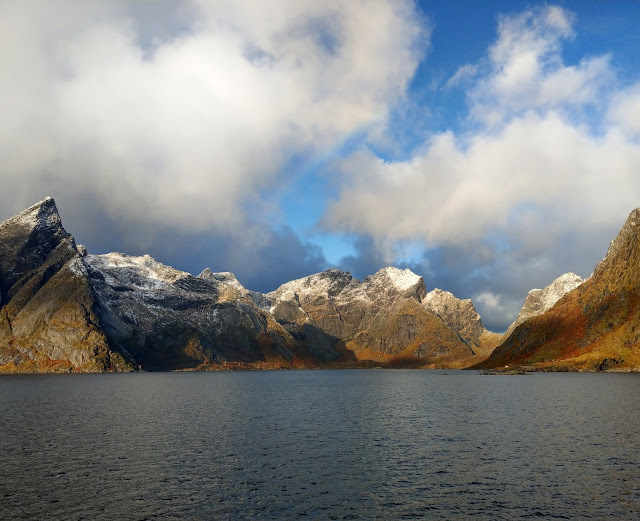 Snowy Peaks at Hamnøy, Lofoten Norway. 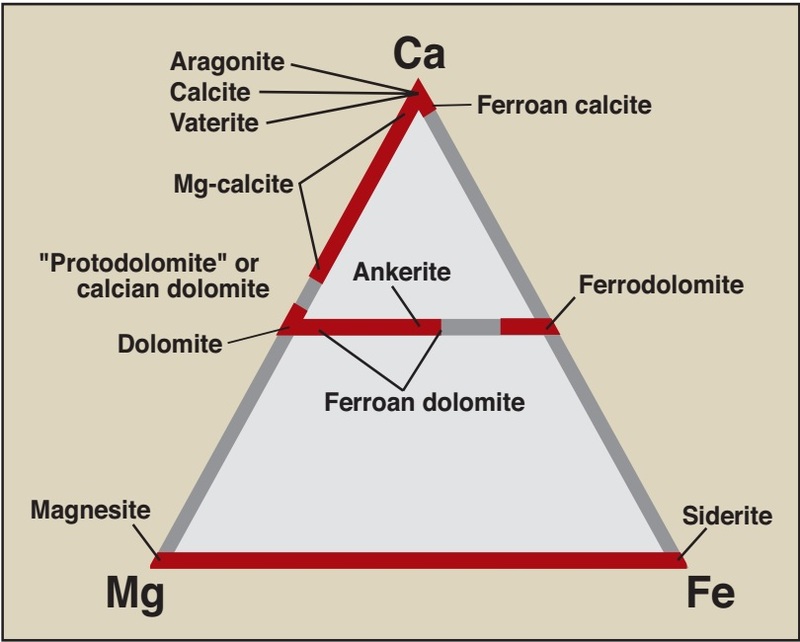 What about lithologies? Well, broadly all those landscapes are conformed by a Precambrian basement represented by an Archean and Paleoproterozoic metamorphic complexes of ortho- and paragneisses, intruded by anorthosites and suites of charnokite-granites. This basement is in tectonic contact with amphibolites and paragneisses, which were intruded by tonalitic magmas at 470 Ma. 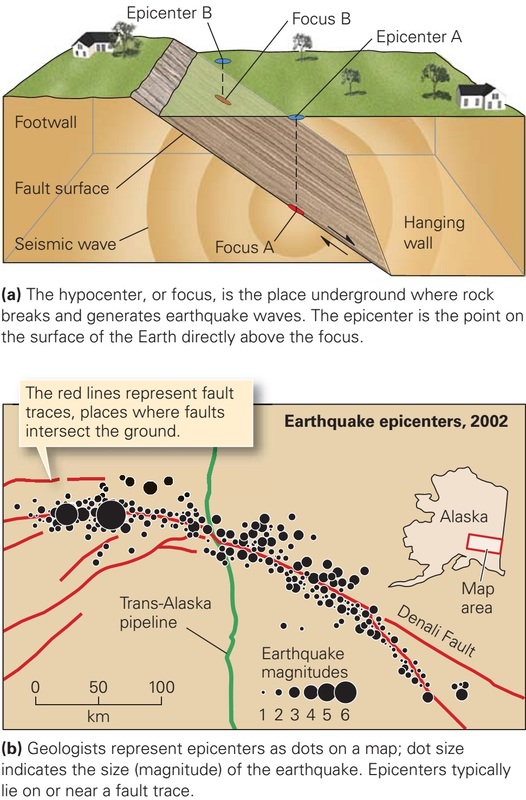 Subsequently, at the top of the sequence, in a rather complex structural context, volcano-sedimentary sequences are found, ranging from the Permian to the Paleogene. These volcano-sedimentary sequences are part of the sea floor between Greenland and Norway. All these units are in well-marked tectonic contacts. Utakleiv Beach, Leknes, Lofoten, Norway. 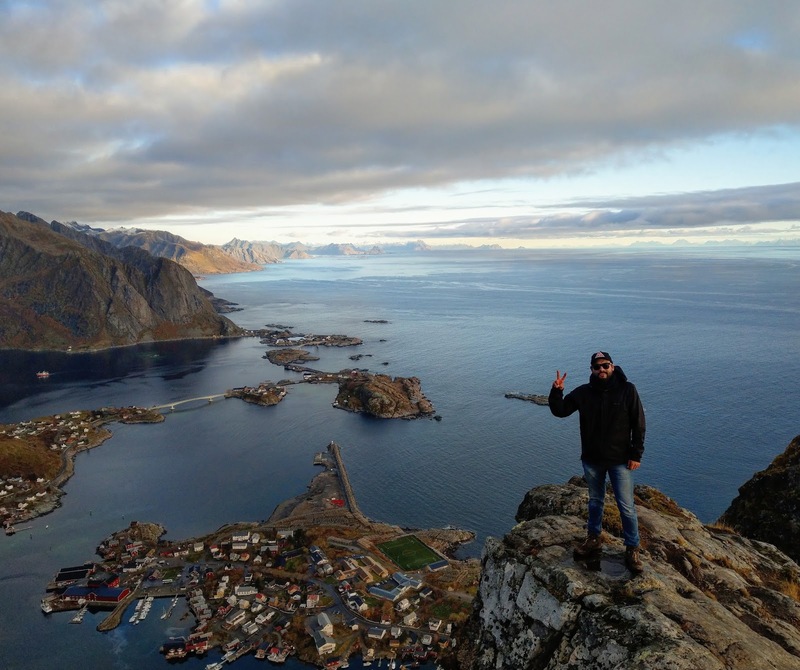 Finally, in addition to the geological stuff, the sunsets, perfect beaches, rainbows, snowstorms, the strong rain and a whole bunch of climatic phenomena associated with these high latitudes, make the Lofoten Islands one of the places. I have enjoyed a lot being a geologist. This is what I like about this profession, trying to understand a bit about such a complex, beautiful and huge planet. If you are a geologist and feel the same as me while traveling, let me congratulate you. You have a beautiful profession! Sebas enjoying rain in Å, Moskenes, Norway. 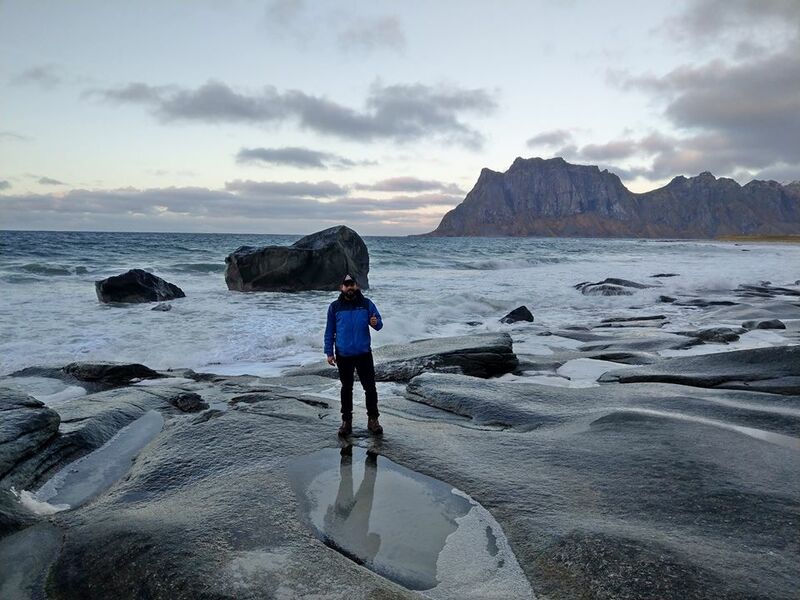 Sebas exploring Paleoproterozoic amphibolites and gneisses at Utakleiv Beach, Leknes, Lofoten, Norway. About author: J. Sebastian Guiral is a Geological Engineer from the National University of Colombia. 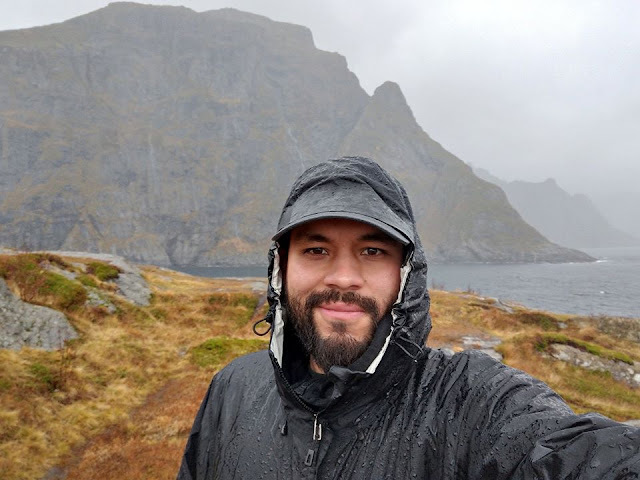 He is currently pursuing his master's program in Georesources Engineering at the Luleå University of Technology in Sweden. He also has studied at the University of Liege in Belgium and at University of Lorraine in France. 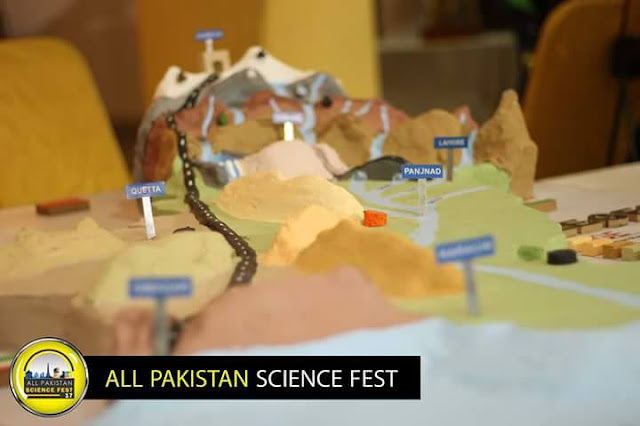 As a geologist, he has worked in important engineering and research projects in his country, which include geomechanics of underground excavations, geodynamics and geomorphology. Currently, his interests are focused on economic geology, exploration, mining and mineral processing techniques. We are grateful to J. Sebastian Gujral for sharing his knowledge and adventures with us. 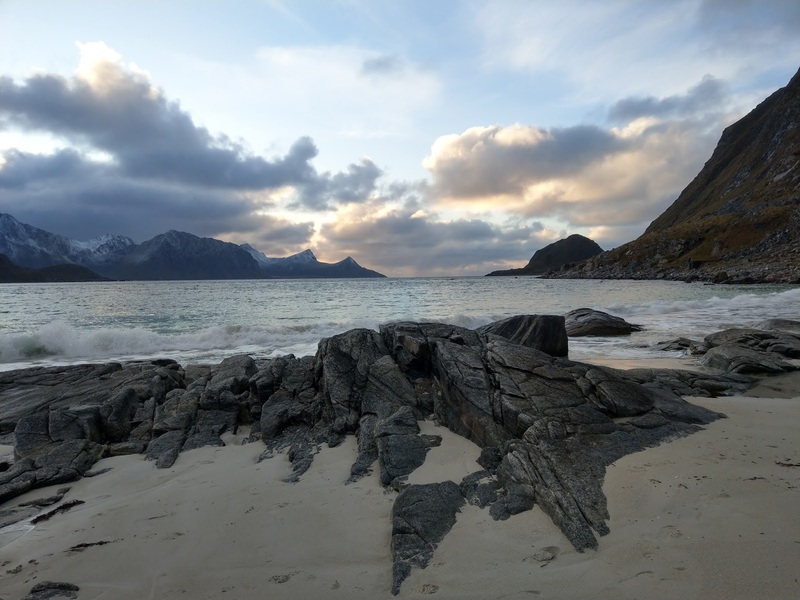 You can also contribute share your geological adventures with us. See details here.